Back in the summer of 2008, Atlanta lost a convention to Orlando because the client perceived Orlando as a "greener" city. 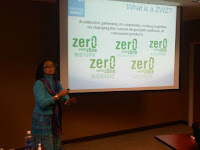 Wow ~ that single event propelled Atlanta into action and the Zero Waste Zone program was born. As Atlanta's foundation for major conferences, the Georgia World Congress Center Authority (GWCCA) was one of the first downtown Atlanta properties to say YES to ZWZ. Each of their properties, Georgia World Congress Center, Georgia Dome and Centennial Park pledged to meet ZWZ Criteria. In this position, Trefzer will coordinate a unified sustainability strategy for the GWCCA campus, addressing energy and water conservation, recycling, promoting public transportation and staff and customer education. As sustainability coordinator, Trefzer will develop and implement plans for reaching sustainability goals and objectives for the campus. Additionally, he will work with customers to help them green their events and will also provide recycling assistance to exhibitors and attendees. His background will also enable the GWCCA to provide sustainability education to its staff and to work towards LEED certification of the GWCC. In FY 2010, the GWCC recycled 54 tons of single-stream waste, including plastic, paper, aluminum and glass, baled and recycled 49 tons of corrugated board, composted 290 tons of food waste, recycled six tons of cooking oil, recycled 1,500 pallets and reduced electrical consumption by 5.7 million kWh. With green practices an integral component to convention location decisions, the GWCCA has stepped to the plate to ensure Atlanta walks the talk when it comes to sustainability. Hiring Tim Trefzer is not only a win for the GWCCA, it is a WIN for Atlanta as the entire city benefits from strong convention business. Stay tuned for more reports from the journey as GWCCA shares stats and accomplishments throughout the year. At the Climate Action's COP 16 held in Cancun, Mexico last month, NatureWorks was a major player announcing new products made with Ingeo™ in a wide array of industries and educating on the low carbon impact of their manufacturing process. NatureWorks’ Ingeo™ biopolymer – made from plants not oil – is the market-leading material amongst a new generation of fibers and plastics for use in a wide variety of applications. The production of Ingeo™ biopolymer uses less fossil fuel and emits fewer greenhouse gases than conventional polymers, making it possible to create everyday consumer items that are better for the planet. As an example, NatureWorks estimates for those products on display in Cancun alone, the aggregated environmental benefit from their actual use in 2010 could exceed 12 million kilowatt hours in energy savings, and 16.8 million pounds in greenhouse gases. Click here to for more detailed information on the COP 16 Conference and here for the special edition of the COP 16 LookBook. As one of Ei's Charter Sponsors, NW is a vital contributor to the ZWZ Team. As an an indirect ZWZ supplier, NW is a perfect partner in the education arena for foodservice operators ready to embark upon the zero waste path. Using his vast knowledge and experience, Doug Kunnemann, NW Busienss Segment Director, prepares simple and easy to understand PPT presentations demonstrating how to incorporate compostable products into the foodservice operator's inventory. Ei/ZWZ is honored to work with a company committed to zero waste and reducing the carbon impact in the manufacturing process. Stay tuned for additional alerts on new areas of impact as NW sails into unchartered territory ~ thank you NW for your trailblazing spirit! The Natural Resources Defense Council posted a powerful article, Waste is Money Down the Drain - Efficiency Boosts the Bottom Line by Sophie Quinton on their Simple Steps for Better Health and Sustainable Living site. In addition to featuring Atlanta's Zero Waste Zone program along with quotes by ZWZ Director, Holly Elmore, the article chronicles an inspiring story of Ohio-based The Taylor Companies. Read the article to learn how this office furniture manufacturer redirected "waste" from the landfill to alternative uses and saved the company $20,000 per year in waste hauling charges. The "zero waste" business model is gaining momentum as executives understand that operating their enterprise with environmental integrity builds a stronger bottom line. The paradigm shift is in full swing ~ stay tuned for more exciting tales from the journey. Wow ~ North Carolina has 14 food composting permitted facilities in the state! Well on the road to solving the organics destination challenge, NC is gearing up to build the infrastructure to divert organics from landfills and into the composting facilities. The Division of Environmental Assistance and Outreach of the NC Department of Environment and Natural Resources (whew, I thought GA had long names! ), is hosting a series of webinars designed to inspire and educate the industry stakeholders into action. On December 14 the Division hosted a well attended Food Diversion webinar with presentations by McGill Environmental Services, Quest Recycling and Elemental Impact/Zero Waste Zones. Individuals from the Division educating on the state's current status as well as grant opportunities available. Click here for the agenda and PPT presentations. Check out the NCDENR Compost website at this link for some solid information, including a section on vermicomposting. Hmmmm...... is a Zero Waste Zone - North Carolina brewing?! Stay tuned! 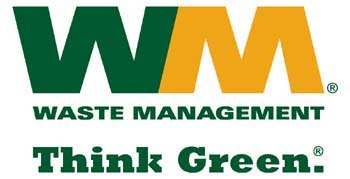 Wow ~ how thrilling to witness the nation's largest waste hauler's enthusiasm to embrace zero waste initiatives! In their fourth quarter, 2010 management meetings for the Area (GA, SC, NC), Waste Management Area VP Greg Yorston invited Holly Elmore, ZWZ Director, to educate his team on the importance of zero waste initiatives. During the three sessions, the WM management attendees were beyond attentive with lively dialogue and pertinent questions. Greg emphasized the tonnage of the stream (revenue) lost by WM and the importance of embracing organics collection as part of the WM business model. Holly's presentation focussed on how the ZWZ program made good business sense and was not supported by government regulations or subsidies. Zero waste initiatives embrace ALL commodities currently hauled to landfills and in 2011 will focus on the "glass dilemma". Approaching the changing business environment with a long-term focus, WM executives are steering the company into the unchartered waters of the zero waste environment. With control of the disposal collection stream critical to overall profit generation, WM understands a R-R (re-purpose, recycle) destination point is vital to maintaining a long-term relationship with their clients. Recent investments in Harvest Power and Garrick, substantiate WM's national focus on a highest good use of organics as an energy source or compost for rejuvenating the soil. The tides are turning and with visionaries like Greg Yorston, supported by industry CEOs, Ei and ZWZ visions will become realities with ease and grace in an environment that makes solid business sense. Check out the Northside Neighbor November 23 issue where Everett Catts recognizes restaurants who close the loop with on-site chef gardens in his article, Eateries go green with onsite chef's gardens..
ZWZ Director Holly Elmore is quoted about how onsite gardens are a component of the overall sustainability movement in the foodservice industry. Stay tuned for the more onsite garden stories in the spring. In preparation for regional and national expansion, the ZWZ Team is completing the ZWZ Expansion Template, an on-line road map to introducing sustainable business practices in communities. The ZWZ Ambassador program is an integral component to building strong zones supported by the community and local businesses. Ambassadors, corporate professionals motivated by environmental concerns as well as business opportunities, commit to building strong zones through participation recruitment, guidance with meeting the Zone Criteria and assistance in setting up the metrics collection tool. A two-hour training course is provided for Ambassadors to educate them on the importance of ZWZ Criteria, how participants meet the criteria and guidance on completion of the pledge and pledge completion documents. Corporate approval is required to join the program as much of the volunteer time is during typical business hours. A minimum commitment of eight hours per month for three months is required. The Ambassador Program is a relationship building tool and is not to be viewed as a sales tool. Any Ambassadors introducing unsolicited sales pitches to ZWZ Participants will be first warned and if the behavior persists, expelled from the program. Visit the ZWZ Ambassador page to learn more about the program and to complete the application. Companies participating in the ZWZ Ambassador Program must support Elemental Impact via the Ei Supporter/Sponsor Program or by ZWZ Supplier status. Click here to learn more about joining the Ei as a Supporter/Sponsor or click here for information on the ZWZ Supplier Directory. How fun to enter into the final stages of developing the ZWZ Expansion Template! ZWZ Director a SSO Superhero! In mid September Ei Sponsor Harvest Power announced their SSO Superhero program with a national press release. SSO = Source Separated Organics. Superheros are recognized for their heroic efforts on the journey to create organic-free landfills. Ei Founder & ZWZ Director Holly Elmore was honored as one of the first SSO Superheroes with a profile on the Harvest Power website and prominent mention in the press release. The media attention is beginning with a September 22 Waste & Recycling article Company's program plans to increase organics recycling. Stay tuned for more media as an interview with a producer from Today in America is scheduled for this week. Foodservice Industry Ready to Embrace Composting?! Peter Romeo, renown restaurant industry author, writes about the practicality of bringing composting options to restaurants on the National Restaurant Association's blog in a post titled Compost Your Way to Zero Waste. Zero Waste Zone Director, Holly Elmore, is quoted on the practicalities of the first step: Identify the available infrastructure consisting of collection options for food waste delivery to state-permitted facilities. With only approximately 300 plus food-permitted composting facilities in the nation, many communities have only one option for their excess food and prep scraps: The Landfill. The NRA 's discussion of the collection of organics for composting validates the industry is ready to mobilize on its tremendous environmental impact. In the last several years, the U.S. EPA directed the Resource Conservation and Recovery Act Division to place primary focus on diverting organics, including food residuals, from landfills. As Compost, The Quiet Hero noted in his session at the NRA Show in May, food residuals in landfills are the top man-made generator of methane gas, which is 20 - 25 times more potent than naturally produced carbon. With only only 2.5% of food residuals transported for composting or other alternative options, the 31 million tons of food waste sent to landfills annually is the equivalent of 5.2 million cars on the road for one year. The time is NOW for the foodservice industry to mobilize and demand food residual collection for composting, or other alternatives, compliant with state regulations is available through out the nation. Private enterprise is ready, willing and able to meet the pent-up demand. In many communities, regulatory and zoning roadblocks remain the two primary obstacles. As a member of the nation's largest private sector industry, foodservice operators may cast a powerful collective message to local, state and federal regulators: The foodservice industry chooses to produce valuable compost, or other products, with the food residuals produced in their operations. Landfill destination is not acceptable as the primary or only option for these food residuals. Since it's 2008 inception, Cork ReHarvest has led the cork recycling movement in the US and Canada, helping to collect and recycle some of the 13 billion natural corks produced each year. Visit the Cork ReHarvest website to learn why it is important from environmental, economic and social consciousness perspectives to purchase wines with cork closures and participate in the Cork ReHarvest program. rk, 24 times more greenhouse gasses are released and over 10 times more energy is used when making one screw cap. 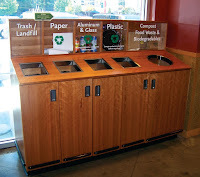 Whole Foods joined the Cork ReHarvest program nationwide. Consumers may save corks from their home wine enjoyment and take them to the collection bins at their local Whole Foods for reharvesting. foodservice operators serving wine to join the Cork ReHarvest program. With the environmental, economic and social impact the program is a simple way to enhance the journey on the sustainable path. As we incorporate sustainable practices into our daily living, reminders of our pre-eco lives are found under sinks, garages, basements and other nooks and crannies of our home. What do we do with these toxic and hazardous items? Peggy Whitlow Ratcliffe with LivingGreenPages has come to the rescue with EcoDepot, a hazardous and toxic item collection program launching on September 25 at the EcoLife event at Atlantic Station. 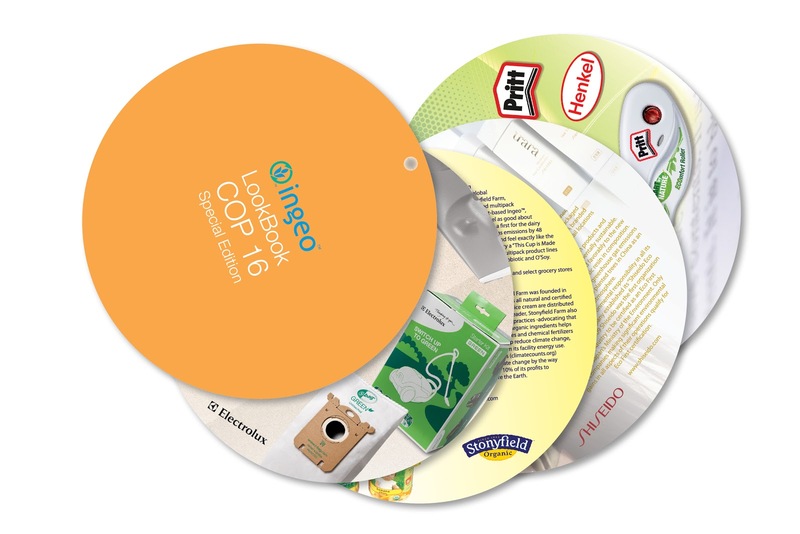 To learn more about the EcoDepot program and the items accepted click here. Peggy may be reached directly at 404-771-5322 or pwhitlow@livinggreenpages.com . Wow ~ how exciting to enjoy phenomenal cuisine at a catered event, restaurant or hotel and learn the food was harvested from an on-site chef’s garden! ZWZ participants are discovering the thrill of creating chef’s gardens on roofs, in parking lots and in previous landscape areas. 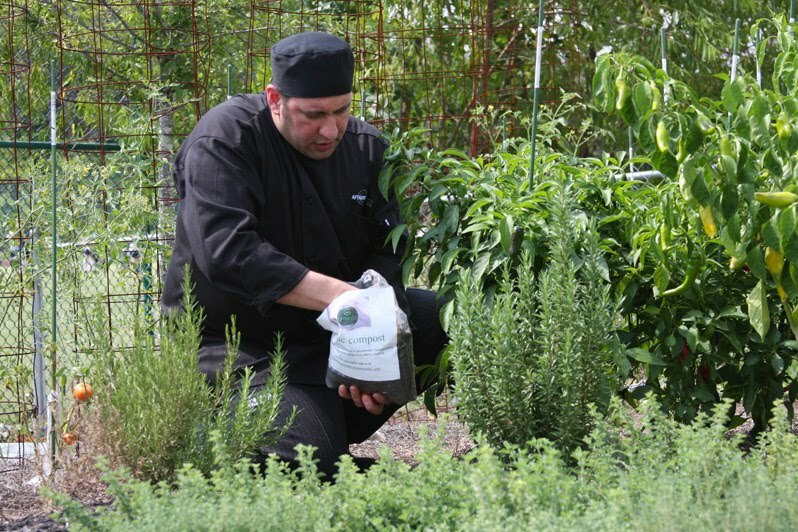 By using compost from Greenco, the only metro Atlanta food composting permitted facility, in their Chef’s gardens, ZWZ participants are closing the loop. Food scraps and excess food collected from their operations for delivery to Greenco are later used as soil nutrients in the on-site gardens. 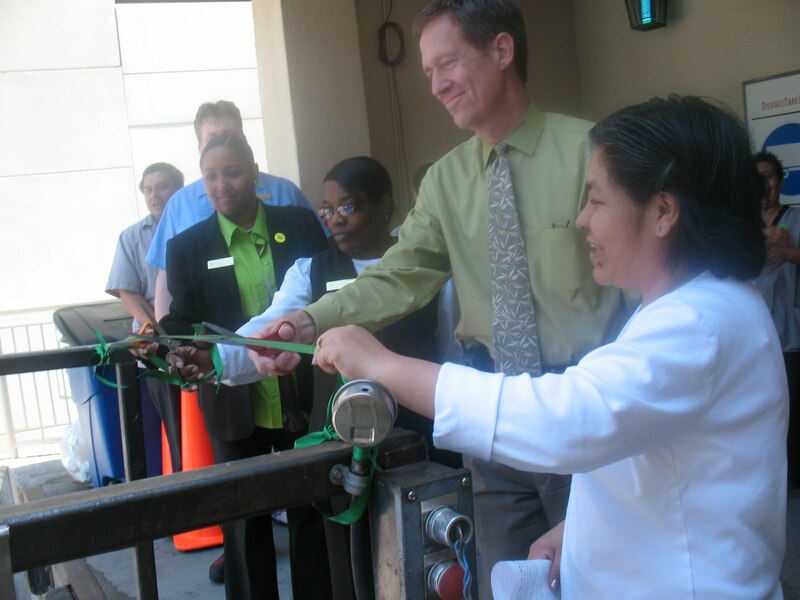 Our local heroes, Affairs to Remember, ecco (a Fifth Group Restaurant) and the Doubletree Hotel Atlanta~Buckhead, persevered through the challenges inherent in creating a garden within a commercial environment. Some of the common challenges were space, sunlight, irrigation and soil weight. In 2009, Chef Ahmad Nourzad , Affairs to Remember Executive Chef, built an amazing garden in the back of the catering operation’s parking lot. Determined to expand on their gardening endeavor in 2010, ATR replaced their landscape bushes with an impressive herb garden. 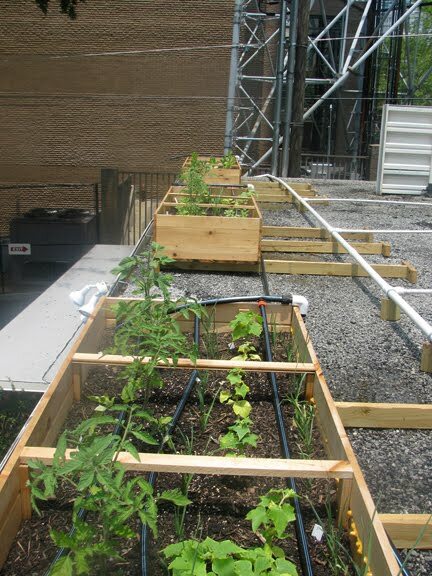 When ecco began researching the feasibility of rooftop gardening, the reality of soil weight appeared to be a deal breaker. Not for Micah Willix, Fifth Group Restaurants Executive Chef, who perceives challenges as opportunities for creativity. Micah built six garden boxes for the roof from Georgia White Pine, which he sealed with used cooking oil, versus traditional chemical-based sealants. The weight of the boxes was dispersed by a series of support beams. Realizing Ecco’s air conditioning units produced 30 gallons per day of condensate water, Micah utilized rain barrels to harness the condensation and pumped it to the roof for a drip irrigation system. Later in the season Micah intends to grow melons on a trellis system. Competitive Advantage: Micah is growing vegetables not available in the Atlanta market, which he will feature in seasonal specials for ecco. How cool to dine at ecco on unique creations with vegetable ingredients not available anywhere else in the city! As documented in earlier posts, Dave Rossman, General Manager at the Doubletree Atlanta~Buckhead, is a true eco-pioneer. In 2009 Dave contacted Bobby Wilson, the UGA Department of Agriculture Extension Agent for Fulton & Dekalb Counties, for his advice on how to create a Chef’s Garden at the hotel. The first step was to replace the landscape plants in the outdoor patio area with a Chef’s Garden. 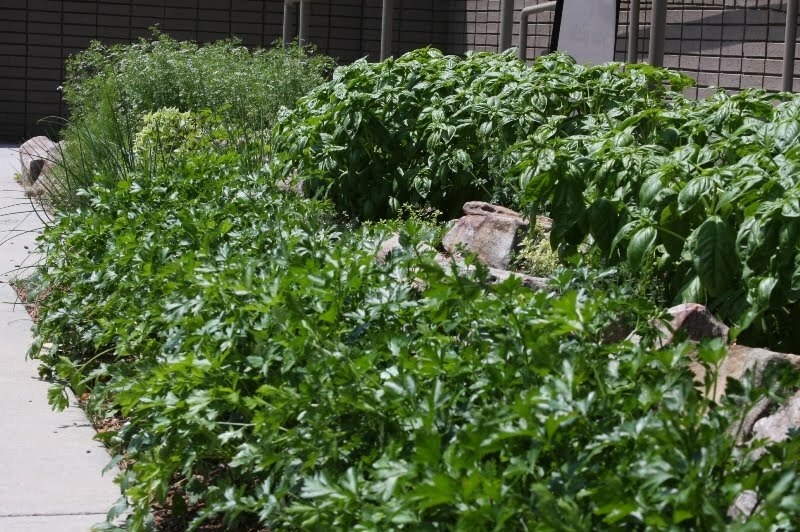 In their first year, the hotel used the garden’s herbs and reduced purchases by $200 per month.With limited sun in the garden area, Dave is experimenting with tomato and eggplant varietals on the roof, which receives full-sun. Due to the soil weight, the plants may only be placed along the edge of the roof. For rooftop irrigation, the Doubletree uses condensate water from the hotel’s cooling system. Our heroes are paving the way for urban agriculture to make a return debut in commercial settings. Not so long ago edible gardens, rather than non-food producing ornamental plants, were common place in urban settings. Congratulate the trailblazers and encourage others to join the urban agriculture movement ~ your dining dollars are a strong communication tool! Atlanta ROCKS! With only a handful of major metropolitan areas across the nation composting their excess food and food residuals from commercial operations, Atlanta stepped up to the plate and blazed trails for other cities to follow. Before we continue Atlanta’s accolades, it is important to understand Atlanta is a Pioneer City in organics management because a brave couple invested 18 months of their lives, not to mention personal capital, to obtaining the permits and zoning necessary to open a food composting facility in Barnesville, GA. Please join me in honoring Tim & Melia Lesko of Greenco Environmental for their vision, dedication and perseverance to give Atlanta the opportunity to ignite the trails of sustainability. THANK YOU! Only those close to the ZWZ program understood organics collection began on February 09, the day before the press conference that launched over 60 million media impressions. There was not a city around the country to emulate; Atlanta paved the way to overcoming the many challenges inherent in creating new best operating practices ~ no easy feat for our pioneering heroes. It is an honor live in a city enthusiastic to embark on the journey of sustainability. Then again, Atlanta knows how to rise like a phoenix from the ashes and is a shining star while her children travel unknown and challenging paths. · WHY it is important to divert organic matter from landfills (hint: the methane gas produced by organic material in landfills is 20 – 25 times more potent to Green House Gases than carbon dioxide) Note only 2.5% of the 31.8 million tons of food waste generated in the U.S. is composted; the remaining 30.1 million tons is sent to landfills. This is the equivalent of 5.2 million cars on the road. · Compost 101: HOW compost rejuvenates and feeds the soil, a living, breathing eco-system. · Basic Human Survival: 1> breathing air 2> drinking water 3> eating nutritious food ~ the Quiet Hero, with his innate heroism, supports each survival criteria. ZWZ ~ the foodservice industry produces a valuable asset: food residuals, which contributes nitrogen to the compost recipe. ZWZ mobilize the foodservice industry to collect their food residuals for compost, instead of sending the asset to landfills. To learn more about the Quiet Hero’s debut, download the NRA Show PPT for detailed information. Remember the work is just beginning, STAY TUNED as The Quiet Hero continues to educate on the importance of diversion of organics from landfills and the role compost plays in feeding the hungry nutrition.